wei ding guocie – no more? So China aquired a piece of land, 1000 somehow unidentified sqkm of the GBAO region from Tajikistan. They haggeled over that since years, the new demarcation is already under way (I am currently trying to find out via people on the ground where exactly that would be). The Chinese say they were humble since in their interpretation of the border treaties with the Russian empire from the late 19th Century they would be eligible to much more (between 20 000 and 40 000 sqkm in different interpretations). The Tajik government uses the same argument and calls the agreement a success, the opposition fumes over a sell out. The International media was all ears for one multiple copied article but figured that it was uninhabited highland – what’s the big deal? (Do read The Sino-Soviet Territorial Dispute in the Pamir Mountains Region by John W. Garver from The China Quarterly, No. 85 (Mar., 1981), pp. 107-118, if you are interested in the weird history of that dispute, it’s on jstor. First off I assume these are pastures and some locals will be pissed (something similar happened on the Pakistan-China over a strip of land between Shimshal and the K2, here China claims land but has removed it’s outposts). Second China for sure had some reason to get this batch of land, otherwise they would have done away with it (I also assume their old claims on the whole Pamir are still upright in their minds and such a tiny deal won’t do away with the history of the place). Third it’s another obvious sign how they are pushing in this region with the West oblivious or uninterested. When I was travelling on the Pamir Highway last fall it was a mess – the Chinese trucks coming from Kashi, travelling all the way into Tajikistan to a station before Khorog where they unload and goods are picked up by local trucks to be transported to low lying areas are too heavy for the track that disintegrated visibly and had tarmac only on some strips. The increased traffic was due to the unrest in Kyrgyzstan, which made drivers avoid the area around Osh and Ferghana and forced them up the Pamir. But China, with a probable increased interest in an Afghanistan to invest into has an interest in securing that route in general, additional to the Osh/Ferghana route and the KKH (the latter being equally hard to cross since a year due to a heavy landslide that resulted in a lake with the road submerged in deep waters). 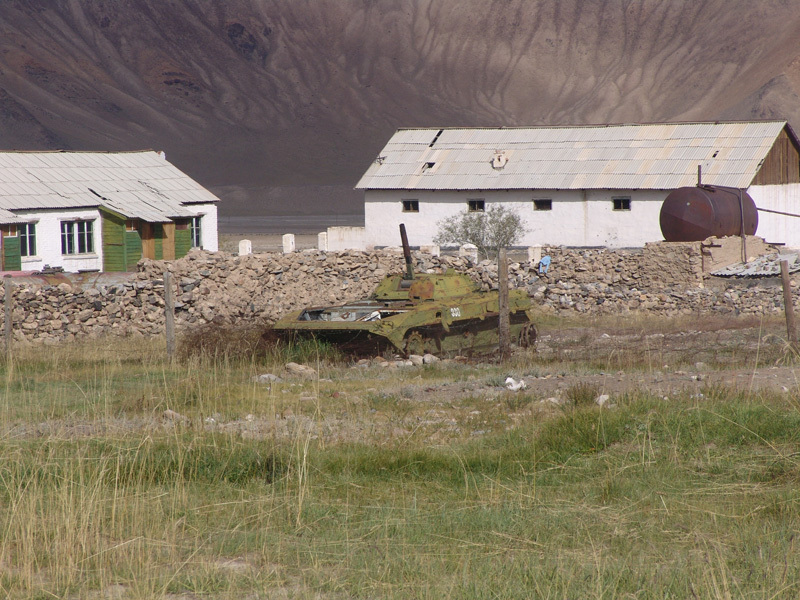 With full access up to Murghab, China is nearly in settled Afghan areas. A link of Tajikistan and Pakistan via the Baroghil pass and Langar through the Afghan Wakhan is also in some shelves although the discussion on it has stalled recently, although I am not sure whather Chinese are directly involved. They have already started the planning for the new KKH. 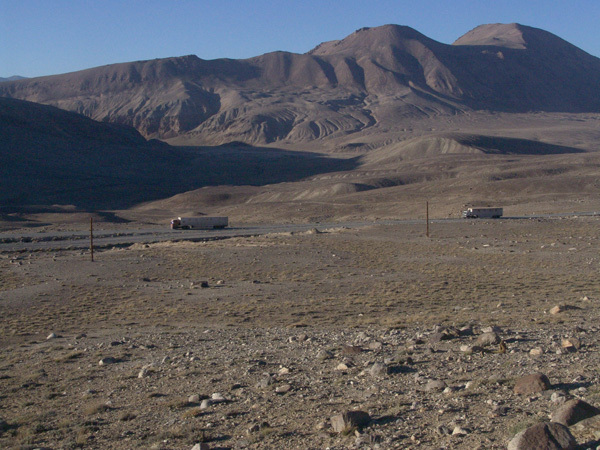 Apart from the road links, this corner of the Pamir is the source of another lifeline – the Amu Darya. It’s spring is just South of Murghab, after which it splits into Panj and Vaksh, two rivers encircling the Pamir and meets again to flow all the way to the Aral Lake (or what’s left of it). The source is disputed just like the whole area itself, a recent book was reviewed in the last SteppeMagazine, Halfway House to Heaven, there is a blog on an expedition of the Royal Geographical Society too. The Chinese interest in these waters is definitely given, although I doubt they are interested too keep a check on the upper part of the Oxus here, since it’s still a minor water mass at this stage. It’s far from being a story that can be attributed with that trash title ‘New Great Game’, it’s rather a silent game. I will keep track of new findings of ongoings or indications for intents and appreciate informed comment.